Are you self-employed or own a business? Eastern European women will love you. No matter how small is your company, a man who is brave enough to venture into being his own boss deserves a great respect, in the eyes of gorgeous women from Russia and Ukraine. Why do Eastern European women love self-employed men? In Russia, Ukraine, Belarus, and other countries of the former Soviet Union it’s hard to start a business. There is a lot of red tape and regulations. Corruption is another problem that new businessmen face. It’s connected with problem #1: Because of lots of regulations, it’s easy for a business to be non-compliant. Officials tend to find faults until they get a bribe. When Swedish giant IKEA went to open its network of stores in Russia, the management had a clear policy: No bribes. After years of working in Russia and successfully making money as a company, executives discovered that their managers did bribe the officials, to get things done. It’s in the system. Otherwise, it’s basically impossible to operate. Thus, running a business means that a person has to not only deliver a product or service, but also possess the skills of a good negotiator, who is able to make things work and navigate through adversity. It also requires perseverance and organizational aptitude. That’s the qualities that women seek in their future partners (husbands). They dream about a man who is a leader. Businessmen (no matter how small is your business, even if you are the only employee of your own company) attract admiration. It doesn’t matter if you are a carpenter or own a cafe. The words “self-employed” don’t make sense for Russians and Ukrainians. It’s best to put it in terms they understand: “Own a business”. You will instantly see how much more positive women will become towards you. It means you can manage yourself and your time, able to plan. She will be safe to entrust her heart and the future of her kids to you. Remember: Russian, Ukrainian women don’t seek to immigrate when they list their profiles on an online dating site to find a partner. They seek a worthy partner. The keyword here is “worthy”. If you own a business, you are worthy by default. Then she only needs to feel attraction to you. Her attraction you can achieve quickly: Eastern European women get weak at their knees about men in suits. You see? It’s easy to connect and be successful with Russian, Ukrainian girls. Hi, Elena. I have a question regarding this post. Would an Eastern European lady automatically view a man that does self-employment type work on a part-time basis, along with his full-time job or would she view him as “worthy” if he is in the military? Thank you. It is a general guidance and every case is different. 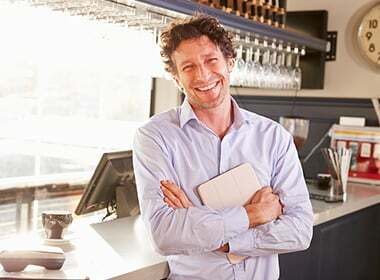 If you are running a small business in addition to any other job you do, yes, it’s a good way to say that you are a business owner as well as having a full time stable employment. Independence in our time is appreciated not only by women but also by men. A man who can achieve something or have achieved his goals will undoubtedly look in the eyes of a woman better. Purposeful people are attractive. If a man can manage his business, he will be able to build a family as well.